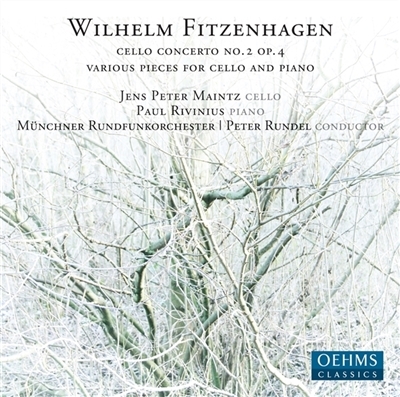 Wilhelm Fitzenhagen – a name that not even those familiar with the cello repertoire are necessarily familiar with. But when one hears his Second Concerto for Cello and Orchestra, one asks oneself why this work hasn’t managed to become part of the standard cello repertoire: it is colorful, virtuosic and demonstrates the composer’s personal style throughout. Fitzenhagen is most often associated with Peter Tchaikovsky, whose Rokoko Variations he revised – a revision that was resisted in the beginning, but later supported even by Tchaikovsky himself. Tchaikovsky dedicated this work – as he did his Piano Trio op. 50 – to Fitzenhagen. Born in 1848 in Seesen, Fitzenhagen – already a celebrated cello virtuoso – went to Moscow at the age of 22, founded the celebrated Russian cello school as professor at the conservatory there, and decisively shaped Russian musical life in the following years. He composed four cello concertos as well as chamber music and songs. Fitzenhagen died at the age of 42 in Moscow. Even most music-lovers connect the name of cellist and composer Wilhelm Fitzenhagen – if at all – with the creation and reception-history of the famous Rococo Variations for Violoncello and Orchestra by Peter Tchaikovsky. The composer dedicated the work to Fitzenhagen, and it is uncontested that the latter fundamentally altered it, changing the order of the variations and even omitting one. Tchaikovsky’s original work has recently received increasing interest due to several new recordings and a new edition of the urtext, which is principally to welcome, but I openly admit always having had great sympathy for Fitzenhagen as the arranger of the Rococo Variations. His version reveals musical intelligence, a feeling for form and a sense of the effectiveness of the music. I would be rather unhappy, for example, even to do without his repetitions in the “Rococo Theme”… After initial uneasiness, Tchaikovsky himself also “authorized” his friend’s version – surely the strongest argument for Fitzenhagen’s version. Fitzenhagen also took part in premieres of other well known works by Tchaikovsky, e.g. the Piano Trio op. 50. But Fitzenhagen is not only significant as a Tchaikovsky-interpreter – he was one of the most important cellists of his time: without him, the illustrious development of the Russian cello school would have been unthinkable, and he also deserves notice as a composer. This CD hopes to demonstrate that. Conservatory. Fitzenhagen decided to go to Moscow, becoming one of the founders of the exceptional Russian cello school together with Karl Davidoff in Petersburg. His many outstanding students included Anatoli Brandukov, to whom Sergei Rachmaninoff dedicated his Cello Sonata op. 19. After decisively shaping Russian musical life for twenty years, Fitzenhagen died in Moskow at only forty-two years of age. In addition to four cello concertos and diverse works for cello and piano, Fitzenhagen also composed chamber music and songs. Fitzenhagen’s Concerto for Violoncello No. 2 was quite obviously written under the influence of Robert Schuman’s cello concerto. Fitzenhagen must certainly have known this work very well; his teacher Grützmacher is known to have been one of the first interpreters of the Schumann concerto. Obvious parallels between the two works are the choice of key, A Minor, and its through-composed form; a closer look reveals many other motivic similarities. It is well known that Schumann’s work was not well received at the time; contemporary cellists criticized it for a seeming lack of virtuosity and for the most part, an absence of “rewarding” cantilenas in the last movement. Fitzenhagen’s concerto, in contrast, completely fulfils these needs: the cello is allowed to revel in extensive cantilenas, show off in virtuoso passage-work and profile itself a number of times in cadenzas or – as at the beginning – recitatives. Schumann had also refused cellists this pleasure by giving them only a very brief cadenza. Fitzenhagen’s concerto is formally interesting due to the fact that hardly any new thematic material is presented in the final movement. After a short introduction, it harks back to large sections of the first movement, artistically woven together in parts: at one point, for example, the primary and secondary themes are heard simultaneously in the solo cello and solo violin. After the solo cadenza, which clearly shows Grützmacher’s cellistic influence, the second movement is briefly touched upon, after which the work closes with a virtuosic coda. Fitzenhagen’s shorter works for violoncello and piano can best be compared to the much less well known virtuoso works of David Popper. While Popper’s miniatures, however, sometimes threaten to become music for the circus ring, Fitzenhagen – despite all virtuosity – always remains serious. His musical language shows similarities to Tchaikovsky (Elegie op. 21) and sometimes to Mendelssohn (Impromptu op. 43) as well. The Capriccio op. 40 is dedicated to another significant cellist of the late 19th century, namely Robert Hausmann, cellist of the Joachim Quartet and professor at the Berlin Academy of Music. Hausmann was one of Fitzenhagen’s childhood friends; just as the latter, Hausmann had also studied cello with Theodor Müller in Braunschweig. The “Dämonfantasie” op. 34 is Fitzhagen’s reverential gesture to Anton Rubinstein, brother of his mentor Nikolai Rubinstein, who had brought him to Moscow. The opera “Der Dämon” was among Anton Rubinstein’s most successful works. But Fitzenhagen does not compose a simple potpourri, but incorporates two variations in which echoes of Tchaikovsky’ Rococo Variations are easy to spot. In the Finale, Fitzenhagen uses ballet music from the opera’s second act, a wedding dance: at first, the men dance exuberantly, followed in the middle section by a woman who apparently comes from the Orient… In his “Ave Maria” op. 41, Fitzenhagen gives the interpreter a choice between piano and harmonium as accompanying instrument. The harmonium underscores the music’s spiritual character, which fits well: Fitzenhagen participated regularly in church concerts of the Lutheran community in Moscow and wrote some works specially for these occasions, including the “Ave Maria”. 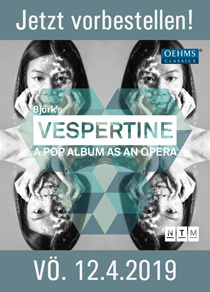 This CD documents both versions, allowing listeners to decide whether they wish the music to transport them to a distinguished soirée or to a reverent worship service.